I have been gripped by a story of humanity, faith, perseverence, and hope this week. I am of course referring to the rescue effort to free the 33 miners from underground in the San Jose copper mine in Chile. What was it about this story that so captivated the us? Was it tenacity? Was it human perseverance? Was it engineering skill? Was it the miners’ faith and trust in God? For me, in all honesty, it was all of those and more. It seemed so unlikely that those miners were alive at all. It seemed unlikely that those miners would ever resurface. It seemed unlikely that the miners would be together emotionally in any way and yet, against all odds, their story - a rescue into the pitch black underworld snatching back the stranded one by one, has gripped us all. The rescue moved me because it is a story of the triumph of good over evil, of hope over despair, of life over death. The other story that has moved me this week is the counterpoint to that of the Chillean miners. 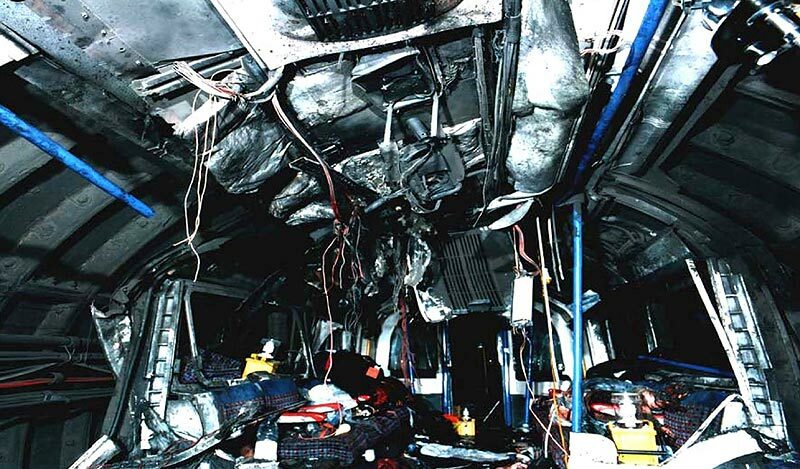 This week the inquest opened into the deaths of 52 people when bombs ripped through tube trains and a bus in three locations on 7th July 2005. Seeking justice for the dead and injured, the coroner’s court has heard harrowing evidence about the extent and arbitrary nature of the attacks, but also stories of incredible courage as civilians and members of the emergency services ignored warnings about returning to the bomb blasted scenes to search out the injured and the dying. As the carnage of those attacks is turned over one shard of metal at a time, we notice again and again the hand of human compassion reaching out to embrace, to hold, to heal and console. This morning’s Gospel reading sounds like it is straightforwardly a parable about prayer. The Gospel writer Luke even tells us so - Then Jesus told them a parable about their need to pray always and not to lose heart, and yet as we take a closer look there is more to this story than first meets the eye. The judge in the story, then as now, has extraordinary power. He is the last port of call to administer justice according to the laws of God. The judge in the story exercises not the law of God, but is a law unto himself as he is not willing to hear the widow’s case. The widow, throughout the pages of scripture, is a vulnerable victim - she could not inherit her late husband’s estate. Widows were dependent on the generosity and support of others. All the widow wanted was justice, but the judge flouted the judicial protocol of the day by refusing to even hear her. Eventually he relents though because she is so persistent. The judge does the right thing for the wrong reason. Jesus’ story says that if the unjust can be persuaded to act justly, the point surely is that those who pray to a just and loving God should never give up calling for justice in their cause, because the one who is righteous, namely God, can be trusted. God is the protector of those like the widow and the judge of those who persecute them. As I read and reread the passage three words stood out - God grant justice. Yet waiting for God to grant justice can so often be the hardest part. To experience the justice of God, we must place ourselves within the will, within the life and in the presence of God. The widow receives justice from the judge because she makes it her business to be in the judge’s face. She is constantly in his presence. Similarly to receive the justice of God, we must be open to the presence of God. There is an inextricable connection Jesus seems to be saying between persistent prayer and the justice of God. God is like the judge in the parable, in that his justice is unexpected and surprising. God’s justice stands contrary to what we expect, desire or deserve. God is a god who not only forgives a murderer like Moses who killed an Egyptian guard or Paul who persecuted and murdered early followers of Jesus, but uses them to reveal something of His loving purposes to the world. The rescue of the Chillean miners touched me so much because this daring mission brought these men back to the surface alive. In turn it reminded me of the God of justice who engineers a gripping rescue through Christ’s life, death and resurrection, into the pitch black underworld of our lives, snatching us, the stranded, back one by one, back into the presence of His Father whether we feel we deserve to be there or not. God doesn’t write us off as a mission not worth executing, but but instead He goes the extra mile to search us out and bring us back to himself in love. So often our lives can be torn apart like a bomb blast. Our hearts warped and twisted - whether of our own doing or through the actions of others - and the God of Justice gently and slowly helps us sort through those experiences, offering us the nail-pierced hand of perfect compassion - reaching out to embrace, to hold, to heal and console. To plead our cause in prayer to this God is to not find us ignored by Him. Waiting for that justice to come is painful, but God assures us, it will come. Three words stand out from the Gospel - God grant justice. To know God’s justice is to know God. His justice is not a piece of clothing that He puts on and takes off like his favourite jumper. It is who He is. But to know God, we must know His Son Jesus Christ; not know of Him, not know about Him in an intellectual way; but to know Him as the one who asks us to follow Him and to discover more about His God and Father through what we see and experience as much as through what He says about Him. All too often though I hear - I believe in God, but He hasn’t answered my prayer. But what were you praying? Are you prepared to get in His face with your request day and night? And who is this God you believe in? I believe in the law of gravity but it will not save my immortal soul and does not love me into new and eternal life. Friends it is not possible to call ourselves Christians and not in some way be following Jesus. For we are not Christian if we are not in some way going deeper into the life of faith - discovering more about God through what we see, experience and discover with others, as much as through what Jesus teaches in the scriptures. Holy God, faithful and unchanging: enlarge our minds with the knowledge of your truth, and draw us more deeply into the mystery of your love, that we may truly worship you, Father, Son and Holy Spirit, one God,now and for ever. Amen.